Think you have to sacrifice portability for readability? Think again. 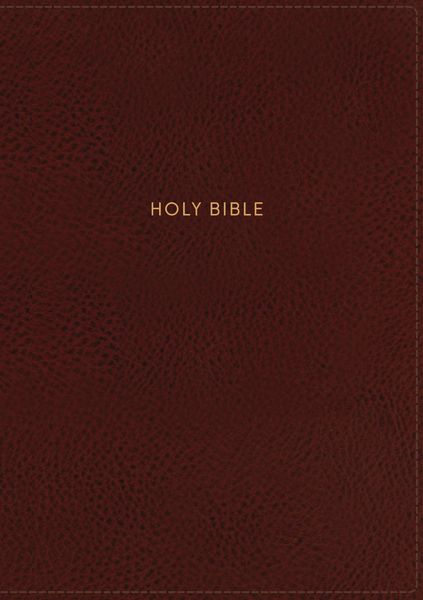 With the NKJV Giant Print Personal Size Deluxe Reference Bible, you get the full text of the popular New King James Version presented in a giant print format that’s easy to carry. And with Thomas Nelson’s NKJV Comfort Print® typeface, your eyes will discover a whole new level of reading comfort. Plus, a complete cross-reference system and other essential study resources make this a Bible you’ll want with you, wherever your day takes you. 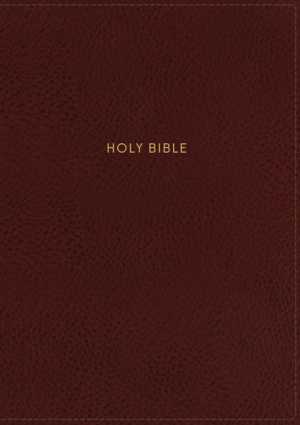 NKJV, Deluxe Reference Bible, Personal Size Giant Print, Leathersoft, Red, Thumb Indexed, Red Letter Edition, Comfort Print by Thomas Nelson was published by Thomas Nelson in June 2018. The ISBN for NKJV, Deluxe Reference Bible, Personal Size Giant Print, Leathersoft, Red, Thumb Indexed, Red Letter Edition, Comfort Print is 9780785216995. Be the first to review NKJV, Deluxe Reference Bible, Personal Size Giant Print, Leathersoft, Red, Thumb Indexed, Red Letter Edition, Comfort Print! Got a question? No problem! Just click here to ask us about NKJV, Deluxe Reference Bible, Personal Size Giant Print, Leathersoft, Red, Thumb Indexed, Red Letter Edition, Comfort Print.